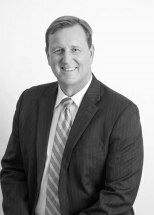 Chad Prentice is a founder/partner of the law offices of Maho & Prentice, LLP, located in Santa Barbara, California and has been practicing law for 19 years. His practice is in the area of civil ligation, primarily focused on representing plaintiffs in personal injury, premises liability, product liability, and employment litigation. Since its inception in 2004, the law firm of Maho & Prentice, LLP has obtained verdicts and settlements for its clients in excess of $28 Million. Mr. Prentice's background includes many years as primary litigation counsel for several Fortune 100 companies throughout California. He is a former member of ABOTA, having tried approximately 30 civil jury trials to verdict. Mr. Prentice is currently an elected board member for the Hope Elementary School District in Santa Barbara, California. He previously served for many years as vice president on the board for Cornerstone House, a non-profit home for developmentally disabled children and young adults. He is active in the community, coaching basketball for the Page Youth Center and YMCA, soccer for AYSO and baseball at Goleta Valley Little League, and serving two years on the local PTA. Tell Us About Your Case To discuss your legal matter with an attorney at our firm, call 805-695-2817 or complete the contact form below to schedule a free, confidential consultation.